Every year I get so excited as the Park Slope Bluegrass, Old-time Music Jamboree approaches! This year is no exception. We have a great family-friendly event planned for folks in the Brooklyn area. It’s so heartwarming to see all the kids come out to this event, some of them have instruments that are bigger than they are! But that doesn’t deter them one little bit, nosiree! We’re happy to support their efforts and encourage them to continue pursuing the bluegrass music that we all know and love. 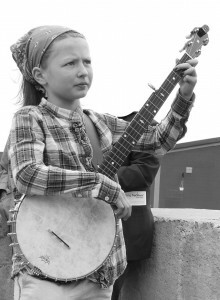 So I’m thrilled to have 12-year old banjo champ, Nora Brown, performing as part of the Saturday evening concert lineup (9/16) which also includes Jim Gaudet and the Railroad Boys. Nora just took the blue ribbon at the Appalachian Stringband Festival and she is an amazingly talented performer. Reminds me of Hazel Dickens. You folks are in for a treat Saturday night! Plus Nora has graciously offered to lead a workshop earlier in the day geared to young banjo enthusiasts and I’m sure it will be a popular choice among event attendees. 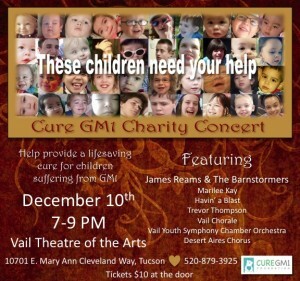 We also have a special kid’s presentation from 3:15 to 4:15 that will include songwriting and a performance of that song by all those who attend the presentation! So bring your young ‘uns and enjoy a wonderful day on Saturday, Sept. 16th, at the Old Stone House located at 336 Third St. in Brooklyn. Click here to download the 2017 Schedule. See you there! I’ve been keeping pretty busy this summer with the movie project but we’re still hitting the festivals and performing in concert! The west coast band just got back from the Wildlife West Music Festival, a great event near Albuquerque, NM and earlier in June we performed at the Route 66 Bluegrass Festival in Victorville, CA. 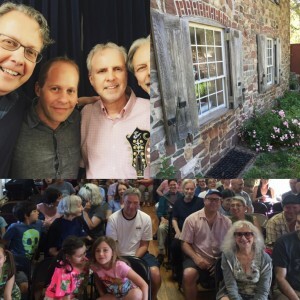 The east coast band will be in concert at the historic Tompkins Corners Cultural Center in Putnam Valley next weekend and, of course, we have the Park Slope Jamboree coming up on September 15th and 16th. It’s been a travel-packed summer so far with more on the horizon, but you’ll have to wait until later to read all about that! Hope you had a fun-filled summer vacation! You could have knocked me over with a feather when one of the owners of MediaSmith, a video and photography company in Phoenix, approached me about being the subject of a feature-length documentary. After getting over my initial shock, I asked the question that is probably on all of your lips…”Why me?” It seems that I had made an impression on them when we worked together over the last couple of years. As we talked, bits and pieces of my story worked their way into our conversations. It has long been their dream to create a full-length movie that would showcase their abilities as filmmakers and my story intrigued them. Having worked with me before, they figured that I was an easy going guy who would be fun to work with again, plus I had some knowledge about documentaries having produced 2 myself. They convinced me that I have a story worth telling, a story that might in some way inspire others to realize their dreams. So, we obtained licensing for the music, arranged interviews, hired additional film crews and sound technicians and set to work on the script. We’ll be filming for the better part of 2017 and then begin the tedious process of film editing and mixing. It’s our hope to have the documentary ready for release by mid-2018 to coincide with my 25th anniversary as a bandleader. We’ve launched a modest Kickstarter campaign to help raise additional funds to complete and distribute the film. I do hope you’ll consider supporting this project. Check out the teaser video on the Kickstarter site! 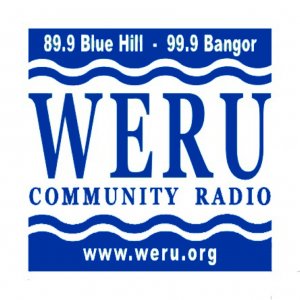 At the IBMA World of Bluegrass conference, I had a chance to sit down and talk with Darwin Davidson, DJ for WERU radio in Bangor, ME and host of the popular Bronzewound Bluegrass Show. We had a great time chatting about the album, bluegrass music and the music industry. 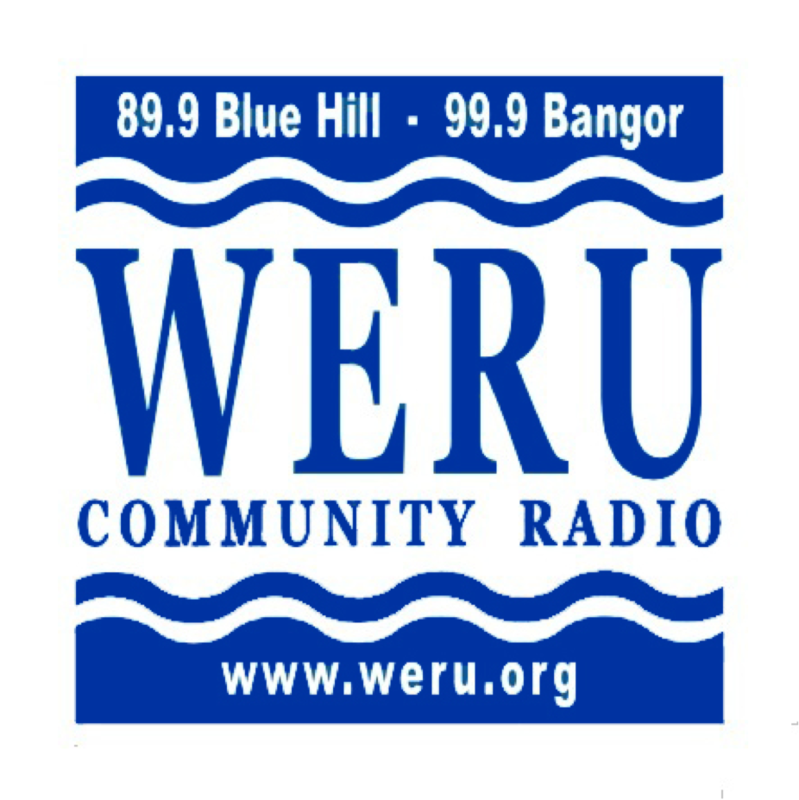 The show just aired but in case you missed it, you can click here to listen in: WERU Interview. As a bonus, you’ll get to hear 3 songs from my new album, Rhyme & Season! Enjoy!! I just wanted to send out a big ole “Thank You!” for the incredible response you’ve given to my new album “Rhyme & Season.” A good friend of mine contacted me over the weekend and said, “Did you know that your album is charting on Roots Music Report?” I’ve been so busy lately that I hadn’t bothered to check in a while and sure enough, there it is, listed at number 37 and rising on the Roots Music Report Contemporary Bluegrass Chart. What a great early Christmas present, especially since it came from all of you!!! I sure hope you and yours have a wonderful and blessed Holiday Season! 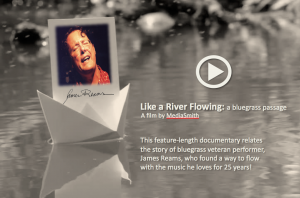 The World of Bluegrass Just Got Bigger! Hi folks! I just got back from the 2016 World of Bluegrass conference. What a week! I’m planning to share more of the happenings with you in the upcoming Barnstormer Newsletter next month but thought you might like a sneak peek! The highlight of the week was, of course, the IBMA award show. Hobnobbing with Bluegrass Unlimited’s Kitsy Kuykendall, bluegrass legend Ronnie Reno, my buddy Larry Stephenson of the Larry Stephenson Band, as well as all the good folks from Bluegrass Today before the show was so much fun. But I had no idea what an emotional experience was in store when I arrived that evening. You could have knocked me and a whole bunch of other folks over with a feather when my dear friend, Danny Paisley’s name was called as the Male Vocalist of the Year. I’ve known Danny for just about his whole career. We’ve played at the same festivals, clawing for every scrap of meat off the bluegrass bone we could get. It brought tears to my eyes and to those around me, to see him stand up there, obviously shaken, and accept his award. And he certainly deserved the win. Wow! What a thrill!! Congratulations Danny…you are an inspiration to us all! In 3…2…1…We’re Live on AZTV! 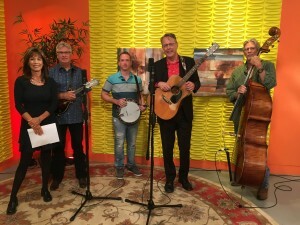 What a thrill to be invited to perform on AZTV’s popular Morning Scramble show. It’s been awhile since I’ve had to rise and shine…er, sing…that early in the morning! 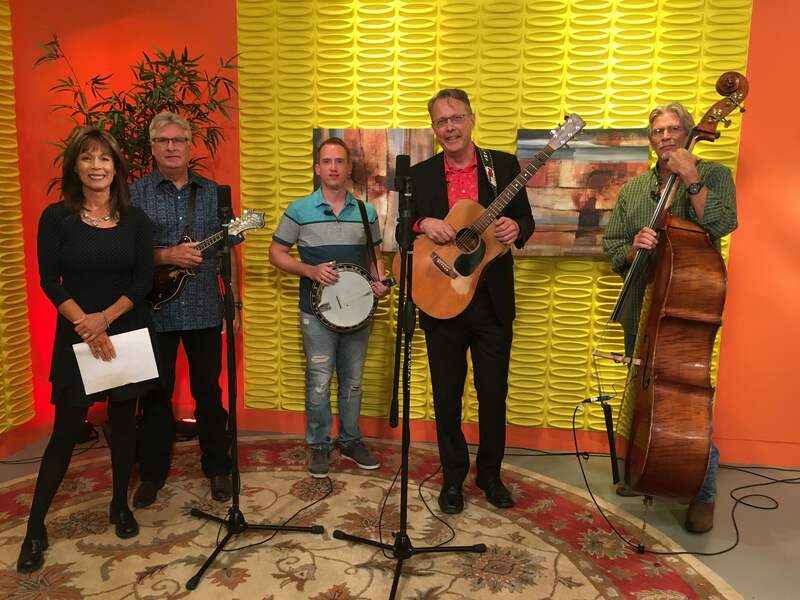 We had such a great time with host, Sandy Moss, a self-confessed bluegrass addict. From the moment we walked on to the set, the staff made us feel welcome and relaxed. The banter just flowed naturally and I could tell that Sandy was truly impressed by our performance (several of the crew were tapping their feet and nodding their heads as well!) When Sandy blurted out, “You guys rock!”, it was such a proud moment for me. I’ve posted our segment of the show on my YouTube channel, check it out for yourself and I hope you’ll agree with Sandy! I was just sitting down with a cup of coffee and the California Bluegrass Association’s July newsletter when I saw the article about James Reams & The Barnstormers! I remembered giving the interview to Dave Berry shortly after our new album, Rhyme & Season, hit the streets…but honestly, I had forgotten all about it! What a nice surprise (and great article too!). I thought I’d post it here in case any of you are interested in checking it out. The Good Ole Coffeehouse at the Old Stone House in Brooklyn was packed this past weekend as we rolled out our new album, Rhyme & Season. It was a great time for all of us and wonderful to hear stories about seeing the band in the early years and even about catching one of my solo performances before there even was a band! The night was filled with lots of laughter and joy as we celebrated the CD release with food, friends, fun, and – of course! – fantastic music. Musician friends who played with the Barnstormers in the past and promoters all agreed there’s something special about this longtime band of friends and I couldn’t agree more! Thanks to everyone who came out to help us celebrate!